All NETB13 products are uniquely identified by a 6 digit serial number which is barcoded on both the packaging carton and the physical unit. Net Irrigate refers to this number as the “Device Id”. 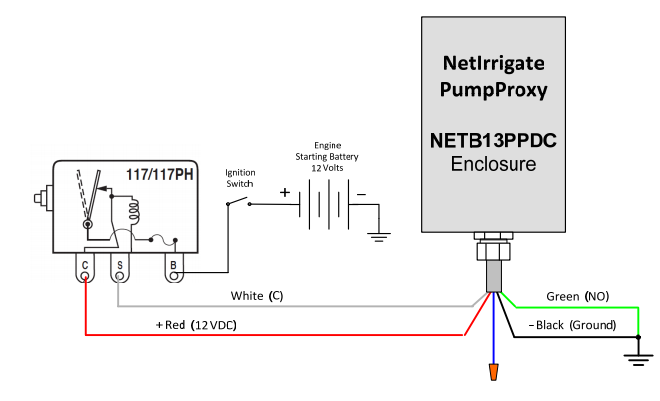 To minimize vibration, Net Irrigate recommends mounting thePumpProxy® unit on a metallic stake. The magnets on the back of theNETB13PPDC make mounting easy. Alternatively, the PumpProxy®should be mounted to a location on the engine where vibration isminimal and the PumpProxy® is free of metallic obstructions.